An inland site located near a tributary of the Pomperaug River in Southbury. Sometimes archaeologists are not the first to arrive at an archaeological site. Though there are now federal and state regulations regarding areas which are considered ‘high risk’ for archaeological impact, unfortunately regulations can sometimes be ignored, difficult to enforce, or they may only apply to certain situations. The law may have loopholes. This often results in a disturbance of sites and valuable information being lost forever. In those cases where they are able to do so, archaeologists undertake salvage archaeology to gain as much information as possible from the site before it is destroyed. This destruction might be caused by human activities such as land development or looting, or by natural factors such as erosion. 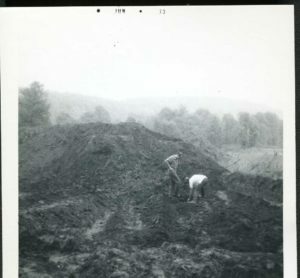 At the HBP site construction was already underway when the potential archaeological significance of the site was brought to the attention of Edmund Swigart, co-founder of both the Institute for American Indian Studies, and the Shepaug Valley Archaeological Society. Swigart mobilized a large group of volunteers to excavate the site as quickly as possible. Unfortunately a large portion of the site had already been destroyed due to construction before the site could be excavated. The site was significant since it was the first multi-seasonal Late Woodland camp found in the area. Archaeologists determined this site as a multi-season encampment based on the recovery of seasonal availability of berries and nuts. The recovery of a toe bone from a faun, which could only have been procured during the late-summer or early autumn based on the breeding patterns of deer further strengthened this argument. 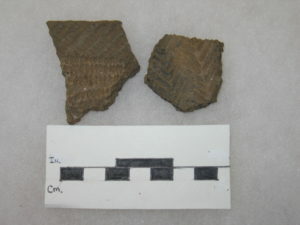 Excavation revealed that there was evidence for occupation during the Terminal Archaic and Middle Woodland period as well, though the majority of the recovered material dated to the Late Woodland Period. Excavations revealed this to be a large multi-family occupation where a variety of activities were occurring. 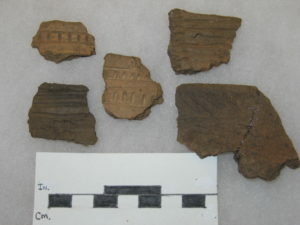 The large number of artifacts recovered from the site allow archaeologists to identify a large number of activities that were being undertaken at the site. Artifacts at this site indicated that stone tool making and possibly woodworking, among other daily activities were occurring there. 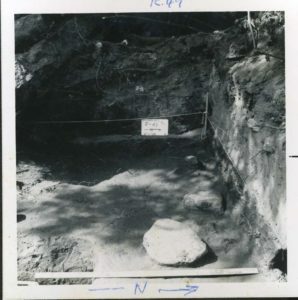 Dr. Lucianne Lavin’s analysis of its Native American pottery vessels indicated that the Late Woodland community residing at HBP was socially connected with other communities to their north and south. 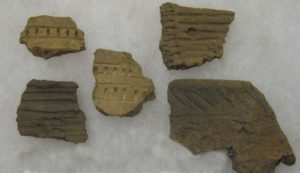 Specifically, the variety of rim shapes and decorative techniques on the HBP pots suggest contact with tribal peoples along the Connecticut coast, and also in the Hudson River Valley. Pottery Vessels are often large and bulky, the variety of material found at the site may indicate a movement of the pottery makers themselves. This has been interpreted as evidence for intermarriage and a kinship network. HBP is also significant due to what was not found during excavation. There was no evidence for use of maize, beans, or sunflowers recovered, this is different than other sites from this time period elsewhere in Connecticut where we see extensive evidence for horticulture, for example contemporary sites in the Connecticut River valley. This may be a result of the bulldozing that occurred at the site prior to the arrival of archaeologists. Located near both a river and quartz quarry the site would have been an advantageous spot to occupy. There was also a sizable rock shelter nearby which may have been the location of the habitation areas. Net sinkers recovered from the site indicate that fishing and exploitation of riverine resources was also occurring. This site would have been an advantageous location due to its proximity to both toolstone and hunting resources. Unfortunately the destruction of a large portion of the site prior to the arrival of archaeologists caused an unknown amount of information to be lost. 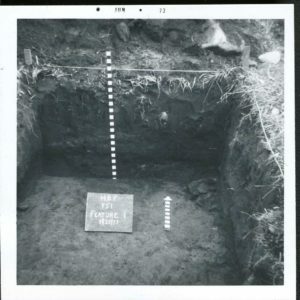 The efforts of Edmond Swigart and his volunteers were able to recover and preserve many artifacts from this important site and provide one of the first looks at what was going on at a Late Woodland period encampment in Connecticut. The Hicock-Benson-Palmer Site: A Significant Later Woodland Living Site in South Britain. The Birdstone Newsletter Vol. 7, No.1. Published by the Institute for American Indian Studies. 2014. Hicock-Benson-Palmer (6NH109) Site and the Hicock Hensel Cave. Unpublished Intern Report.